An early birthday gift for my almost-eight-year-old daughter. 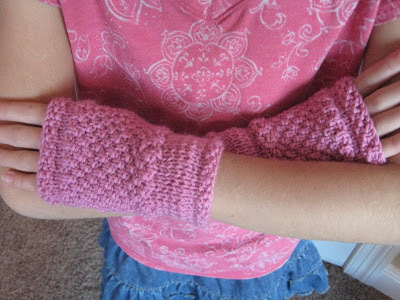 She has been asking for a pair of fingerless gloves ever since I made a pair for myself back in April. I started out with one pattern, but I realized that it just didn’t look right with the yarn I had selected. 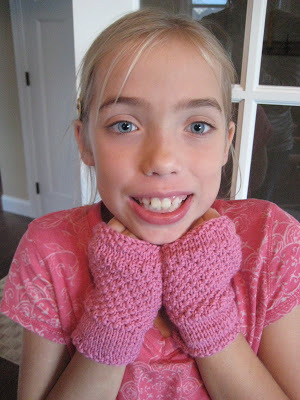 So, I did a little search on Ravelry and found another pattern. This one is knit on straight needles and then sewn at the seams. A little different but I liked the seed-stitch pattern in it. 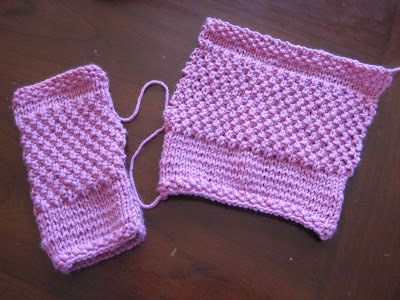 Something interesting to complement simple pink yarn. This pattern was quick! I finished these in a week’s time. They look so pretty on your little girl! Nice work! love that pink yarn, sarah! 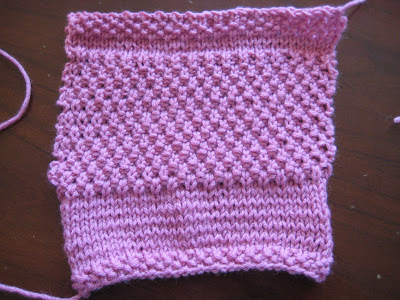 and the seed stitch is one of my favorites! anne of green gables? how fun! We saw "Anne" yesterday, too! Very cute. And I love the gloves! Those are so cute!! They came out perfect and she looks perfectly happy too! These are scrumtious and I love the original fethcing pattern, thanks for the links, so pretty!